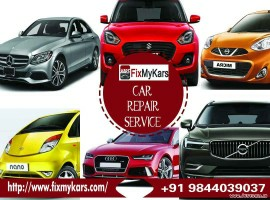 The #Fixmykars has emerged with a solution of all car Repair services Bangalore. Which is available 24X7 just a click away. The system includes regular #CarRepairService, major car repair, Car Washing & detailing or any kind of emergency car repair Services available in Fixmykars Car Services Center Bangalore. The Fixmykars is the first #CarRepairservice provider in Bangalore that operates in eight hours, we work round the clock to give you a smooth driving experience.